Blair Peters co-founded Studio B Productions, which produced Hasbro&CloseCurlyQuote;s animated series My Little Pony: Friendship is Magic until DHX Media bought the studio in 2007. Since starting Studio B in 1988 with partner Chris Bartleman, Blair grew the company from a staff of two to over 200 employees. He worked with clients such as Walt Disney Television Animation, Nickelodeon, Cartoon Network and Nelvana on shows such as Woody Woodpecker, Sonic the Hedgehog, and Timon and Pumbaa, as well as creating and developing successful original programming such as D&CloseCurlyQuote;Myna Leagues, What About Mimi?, and Yvon of the Yukon. He also executive produced over 1000 half hours of programming for a range of international broadcasters including Martha Speaks for PBS, Kid vs. Kat for Disney, and George of the Jungle for Cartoon Network. Blair has received accolades in publications such as Time magazine, The Globe and Mail, National Post, Hollywood Reporter, Variety and People magazine. He was selected as a Top 40 Under 40 Entrepreneur of the Year by Business in Vancouver in 1999 and was named the Lionsgate Innovative Producer of the Year in 2004. Blair stayed with DHX Media for four years after selling the studio, helping management transition to a publicly traded company. In 2013, at the Banff World Media Festival, he won the DHX Media Award for Excellence in Kids Animation. As a kid, Blair&CloseCurlyQuote;s two big loves – cartoons and sports – competed for his time and energy. Today he actively pursues both. While teaching Entrepreneurship for Animation at Capilano University, he runs Blair Peters Animation (a consulting company focused on the animation industry); is Strategic and Creative Consultant to (and investor in) Yeti Farms Animation, owns Vintage Sports Images, an online sports photography memorabilia company, and co-owns Inside Performance (a state-of-the-art indoor baseball facility in North Vancouver, BC). 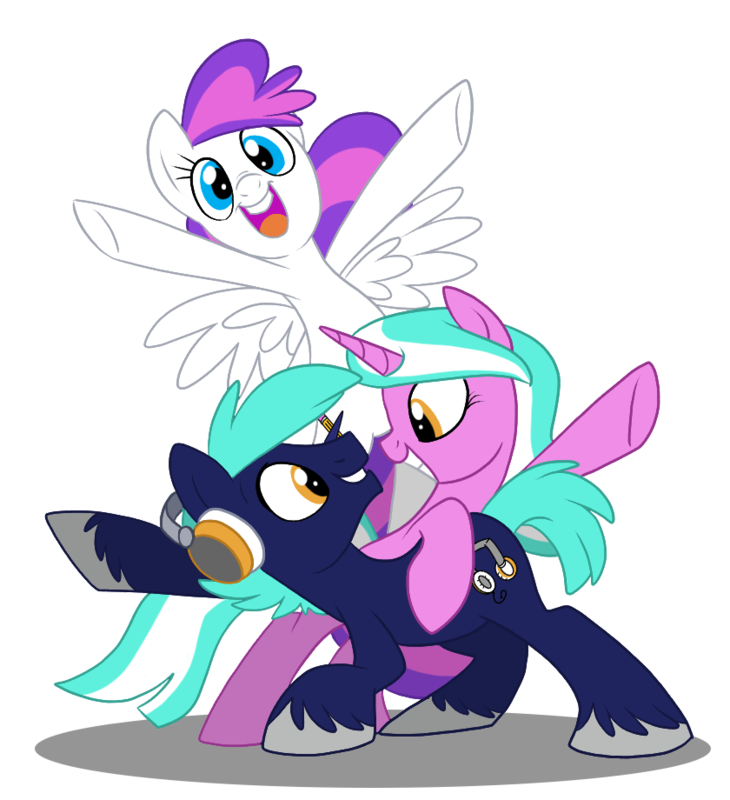 Blair has three daughters (including the voice of Scootaloo), a wife and a black lab named Cal. When he&CloseCurlyQuote;s not working, Blair likes to contribute to his community, supporting local arts, health and educational organizations. Most recently, he produced a fundraising video in support of the Lions Gate Hospital Foundation, which helped raise more than $5 million for their Youth Mental Health Initiative.